Artists from Afghanistan, Syria, Iran and Egypt performed on the final night of International Mystical Music Sufi Festival at Peeru’s Café on Sunday. The performances were not scheduled but were still conducted. 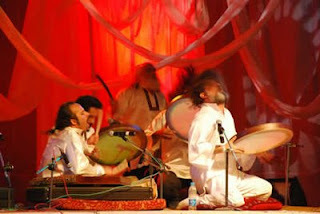 The Dalahoo Sufi Ensemble, the Iranian group, stole the show with Jalaluddin Rumi’s poetry. It was the second from last group to perform at the event.